Feyenoord were eliminated from the Europa League by AS Trencín in Thursday’s third qualifying round. Head coach Giovanni van Bronckhorst’s side were faced with overturning a 0-4 deficit after last week’s first leg in Slovakia, but could only draw 1-1 at De Kuip despite creating a barrage of chances. The hosts started well in the hunt for goals. With 31,500 fans at their back, Feyenoord made two good chances within the opening four minutes; Robin van Persie and Jens Toornstra both shot just wide. But a few minutes later Eric Botteghin grabbed the opener, powerfully heading in Steven Berghuis’s corner. De Kuip exploded after the early lead and started to believe in a positive result, but the Slovaks quickly dampened spirits. Antonio Mance was given space with the ball at his feet in the box, beating Kenneth Vermeer for his fourth goal over the two games against Feyenoord. Conceding left Feyenoord needing five goals to progress. With that in mind, the hosts tried to force the breakthrough, racking up chance after chance in the process. Van Persie shot over from close in, before both Toornstra and Tonny Vilhena saw their respective efforts cleared off the line. Feyenoord has 14 shots on goal in the first half, but when the break came they still only had that single goal to show for it. 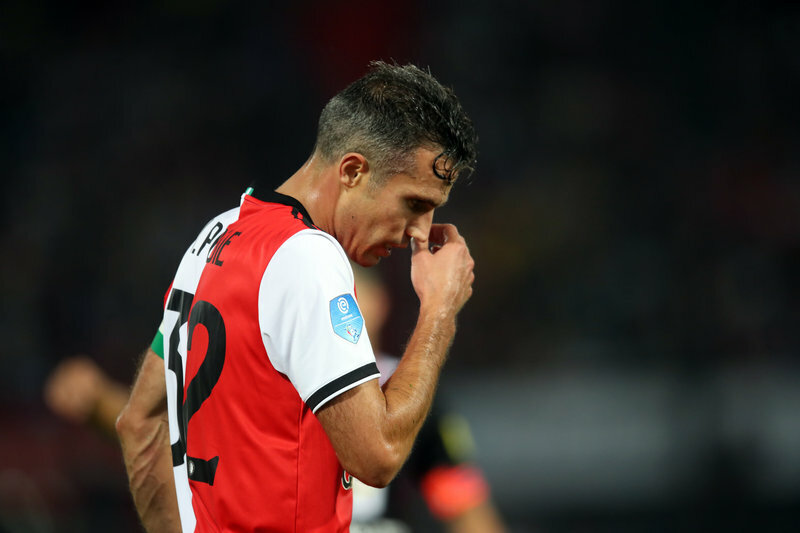 More big opportunities went a-begging after the turnaround, as Feyenoord started to lose hope of a good outcome: qualification for the Europa League play-offs. Tyrell Malacia went closest fifteen minutes or so before the end, but the post got in the way of his hard drive. A little later he made way for Wouter Burger, who came on for his competitive first-team debut. Feyenoord’s final shot count had hit 26 by the end of the encounter, but they were denied a home win to salve their pride. The crowd were appreciative of their team’s efforts, however, giving the players an ovation at the final whistle. But the reality is that Feyenoord will have to focus on domestic Eredivisie (Sunday at home to Excelsior) and KNVB Cup matters for the rest of the season.